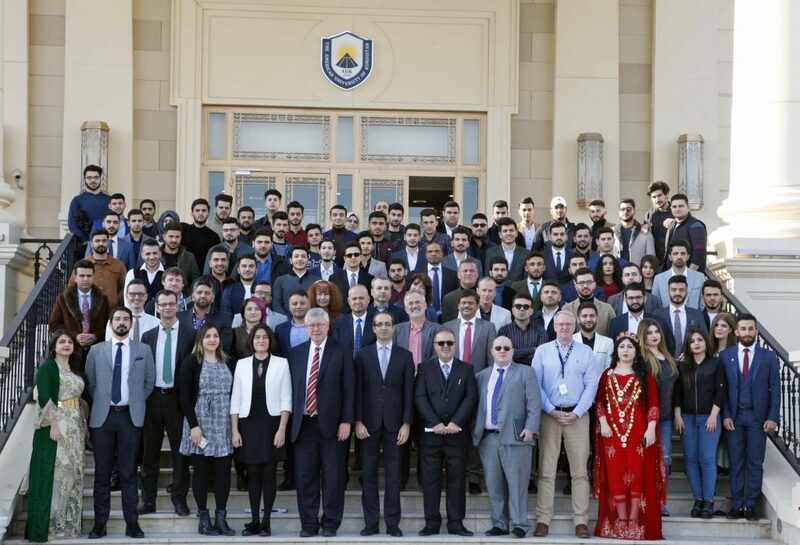 Duhok, Kurdistan Region of Iraq – January 30th, 2019- The American University of Kurdistan in Duhok, held its induction day, packed with events for its new students that entered into academia and higher education. The first-year students from various courses participated enthusiastically during the orientation and induction day at AUK. The agenda for the day included, ice breaker games and prizes, convocation, live music and dancing. “The induction day serves as a pivotal event in the lives of new students joining our AUK family. The orientation program introduces new students to AUK’s Staff, codes of conduct; acquaints Students with campus life as well as celebrating their entry into higher education”- Shie Faraj, Manager of Student Affairs. During the convocation, AUK’s President Dr. John Menzies welcomed all the students and highlighted AUK’s commitment in serving the needs of all the students. The students were introduced to AUK’s Faculty, Chairs and Deans from various Colleges, including the English Language Institute and Center for Peace and Human Security. The convocation was concluded by a presentation on “how to be an effective student?” presented by Dr. Honar Issa, Secretary of Board of Trustees. Furthermore, students and alumnus of ELI Mosul Community also visited AUK for the first time and expressed their interest in enrolling in AUK’s Academic programs as the newly built dormitory would enable them to reside on campus. “The Mustafa Barzani campus is a stunning building with highly qualified expatriate Staff and the Dormitory is breathtaking. I am very impressed!” said Yaseen Ahmed, one of the ELI community students visiting from Mosul. Lastly, the Freshers’ day was concluded with live music and dance in a vibrant, multicultural setting. “Today was full of fantastic events that were both educational and entertaining!” said Ararat Ahmed, a fresher student. Overall, Students were able to enjoy AUK’s vibrant, warm and welcoming campus community. They had the opportunity to participate in various student activities that improved their soft skills and were encouraged to participate in extra circular activities during the course of their academic studies.